Hardcover, 8.5 x 11 / 192 pgs / 370 color. Why design now? As issues of ecology and sustainable living continue to gain in urgency and topicality, design has come to the forefront of the arts as the discipline best equipped to meet today's challenges. Designers around the world are rising to this clarion call by creating products, buildings, landscapes, messages and more that address important social and ecological problems. Why Design Now? National Design Triennial accompanies the fourth installation in Cooper-Hewitt, National Design Museum's acclaimed National Design Triennial exhibition series. 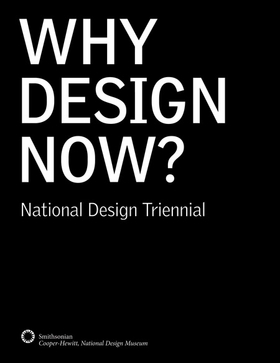 Designed by Michael Bierut, a partner in the award-winning design firm Pentagram, Why Design Now? is the first Triennial book to be truly international in reach, with 134 designers and projects in more than 44 countries. With eight essays by four Cooper-Hewitt curators, project profiles and more than 350 color illustrations, many of which have never been published before, Why Design Now? 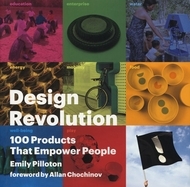 offers a glimpse into contemporary innovation, and an up-to-the-minute survey of what progressive designers, engineers, entrepreneurs and citizens are doing in diverse fields and at different scales. 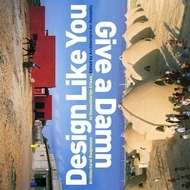 Many of the featured works have influenced other designers by proposing new methodologies or by pioneering new techniques; also included are practical solutions already being implemented as well as experimental ideas designed to inspire further research. Each of the selected works--from a soil-powered table lamp to a post-petroleum urban utopia--celebrates the transformative power of design. The Cooper-Hewitt, National Design Museum is the only American museum whose collection is focused solely on contemporary and historic design. It is celebrated throughout the world for its scholarly rigor, curatorial adventurousness and design excellence. 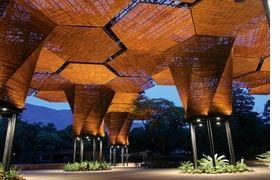 Featured image is the sustainably designed Orquideorama botanical garden in Medellin, Colombia, reproduced from the Cooper-Hewitt’s exhibition catalog to the National Design Triennial, Why Design Now? "Why Design Now? is an open snapshot of contemporary innovation, a sample of what progressive designers, engineers, entrepreneurs, and citizens are doing in diverse fields and at different scales. For each project selected, dozens more could takes its place, addressing similar questions from different angles and from different points on the close. 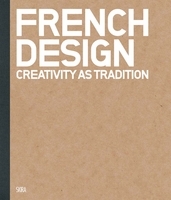 Many of the featured works have influenced other designers by proposing new methodologies or by pioneering new techniques. Included are practical solutions already being implemented as well as experimental idea to inspire further research. 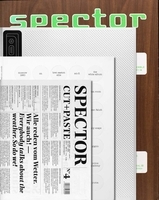 A few projects will provoke controversy, answering some questions while raising others. Each one--from a soil-powered table lamp to a post-petroleum urban utopia—celebrates the transformative power of design"
The Curators, excerpted from their introduction to Why Design Now?. FORMAT: Hbk, 8.5 x 11 / 192 pgs / 370 color.